On June 27, 2015, I received the greatest blessing; I married my best friend and love of my life in front of God and our closest family and friends. Father Vacek married my parents over 30 years ago and I have clear memories of them referencing his impact on their marriage throughout my childhood. When David and I got engaged on July 12, 2014, after celebrating with our family, we asked my parents if there was any chance we could meet with him before our wedding. 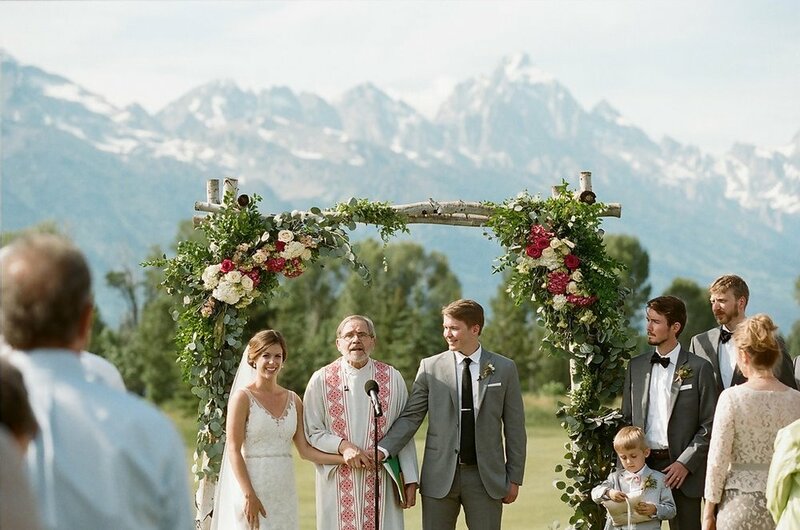 Father Vacek not only met with us, but married us in Wyoming. His prayer with my family before we walked down the aisle, is a memory I will forever treasure along with his beautiful homily and constant support and love. Through David and my discussions over chocolate chip muffins, coffee, and a walk in the rain with Father Vacek in the Jesuit Home at Loyola University in New Orleans, the three of us talked about God and our beliefs. I could feel God’s love pouring over us through Father Vacek. Post our wedding, I have sought a real relationship with God more than ever. I have grown even stronger in my faith through discussions and prayer with my parents, twin sister, Emily, and St. Stephens.